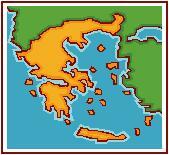 As I mention in my video above, Greece is a fascinating story unfolding. I wish it was only Greece, but we have a few other countries in Europe that will be following it in the headlines over the coming year. This is a good article on a few dissimilaries between Greece and the United States. When you’re at a summer BBQ, some know-it-all guy is going to start getting all apocalyptic on the US. You need the ammo to refute that.